Cigarette smoke is an ever changing and extremely complex mixture of over 5000 chemicals. When the cigarette burns, thousands of chemical substances are generated, and these are distributed between the gas phase and the particles which constitute the smoke aerosol. Activated carbon when used in a filter can selectively remove a number of the vapour phase compounds to varying degrees of efficiency. 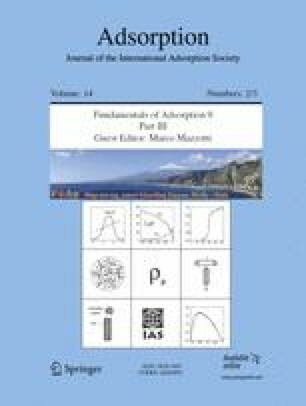 Carbons of different activities (50–60% CTC and 90–100% CTC) have been characterised using nitrogen adsorption and also the sorption of a number of different vapours with different properties, using a dynamic gravimetric adsorption technique. Surface areas, pore volumes, diffusivities and heats of adsorption were calculated using nitrogen, benzene, heptane, ethyl acetate and water as the probe molecules. Smoke chemistries were measured using a screening approach on the characterised carbons as filter additives. It was seen that the higher activity carbon results in increased retention in the majority of the measured vapour phase smoke constituents.